Since the beginning of the decade, the Chicago Blackhawks have gone from first to worst ... and falling ticket demand shows what fans think of that. The Blackhawks finished last in the Central Division just three years after winning their third Stanley Cup of the 2010s. 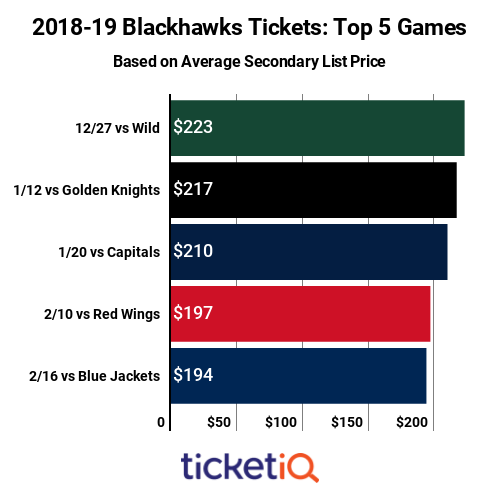 Below is how Blackhawks ticket prices stack up on the secondary market across the league. 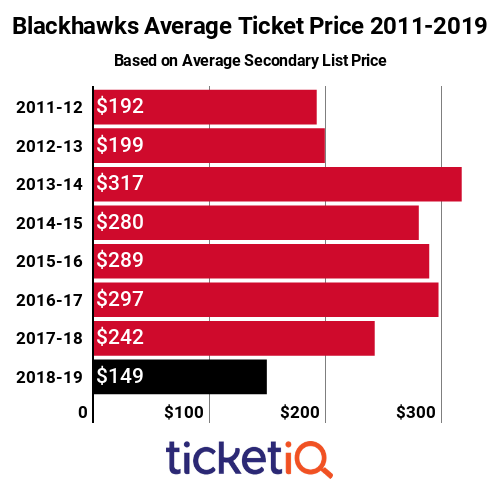 As you can see below, 2018-19 Chicago Blackhawk tickets are down more than 38% compared to last season. Tickets are the least expensive since 2011, when secondary ticket marketplace TicketIQ.com began tracking data. The most expensive ticket of the decade was $317 in 2013-14, one season after winning the second of the three Stanley Cups. 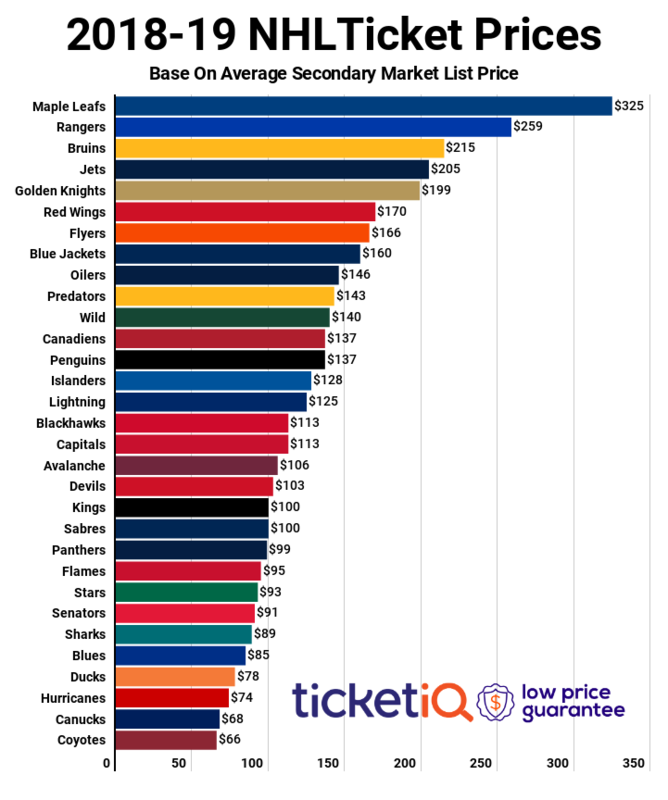 With a $149 secondary market average asking price, Blackhawks tickets are ranked No. 11 in the NHL in terms of price, well below the $332 that the No. 1 Toronto Maple Leafs are commanding. Despite the drop in secondary market price, Blackhawks season tickets are still sold out. Fans can join the waiting list with a $100 refundable deposit. Single-game tickets are available through primary market partner Ticketmaster. For the home opener against the Maple Leafs on October 7, standing-room only tickets are available for as little as $45 and seats can be had for $112 in the upper decks. The SRO price is cheaper than on the secondary market, on which the same ticket is trending at $54. The game with the highest average asking price is the December 27 matchup against the regional rival Minnesota Wild. The game has an average asking price of $223, making it one of three that are more than $200. The other two are $217 January 12 vs. the Vegas Golden Knights and $210 January 20 vs. the defending Stanley Cup champion Washington Capitals. TicketIQ.com can help you get into the United Center for the Wild game, with either standing-room only tickets for $72 or a seat right behind the Blackhawks bench in Section Lower 101 for $387. Both come with TicketIQ.com's Low Price Guarantee.